Plant physiologist Bert Drake beside an experimental chamber. 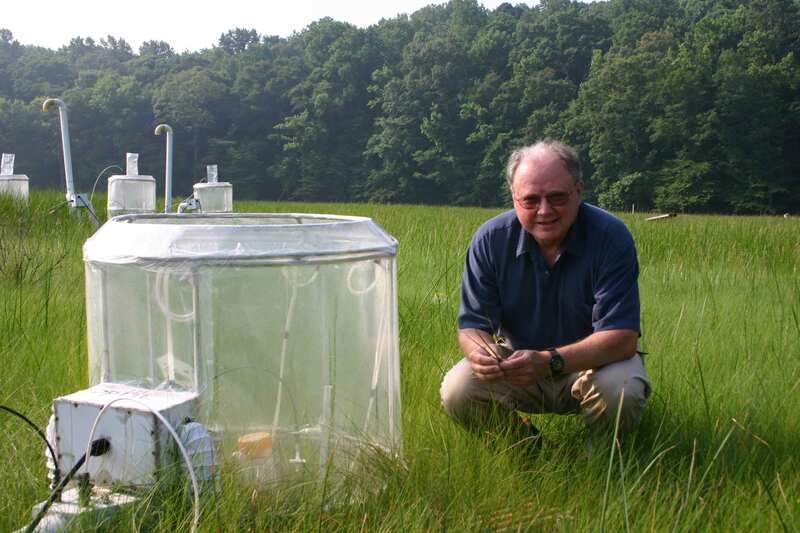 Drake launched the Global Change Research Wetland experiment in 1987. Today it is the world's longest-running field experiment on how CO2 impacts plant communities.